L. B. T. Houghton & Marco Sgarbi (éd. ), Virgil and Renaissance Culture, Turnhout, 2018. The book brings together studies by scholars from a range of academic disciplines to assess the central position of Virgil in the intellectual, artistic, and political lives of the Renaissance. 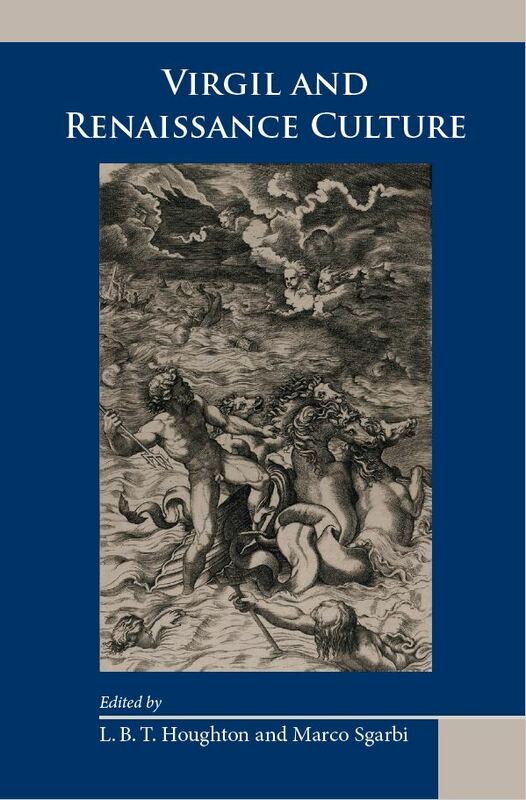 This collection of essays presents a variety of case studies of Virgil's impact on different branches of Renaissance culture, covering the crucial areas of education and court culture, the visual arts, music history, philosophy, and Neo-Latin and vernacular literature. It brings together established scholars and younger researchers from a range of different academic disciplines. The studies included here will be of particular interest to students of Renaissance social, intellectual, and literary history, to art historians, and to those working on the reception of classical literature; some offer new perspectives on well-known material, while others investigate examples of Renaissance engagement with the Virgilian corpus which have received little or no previous attention. Building on recent scholarship on the Virgilian tradition, the collection opens up new avenues for research on the reception of both Virgil and other classical authors, and addresses questions of fundamental importance to historians of this period — not least the perennial debate over the nature and definition of the Renaissance itself.